Hooking tines lift soft soil plugs. 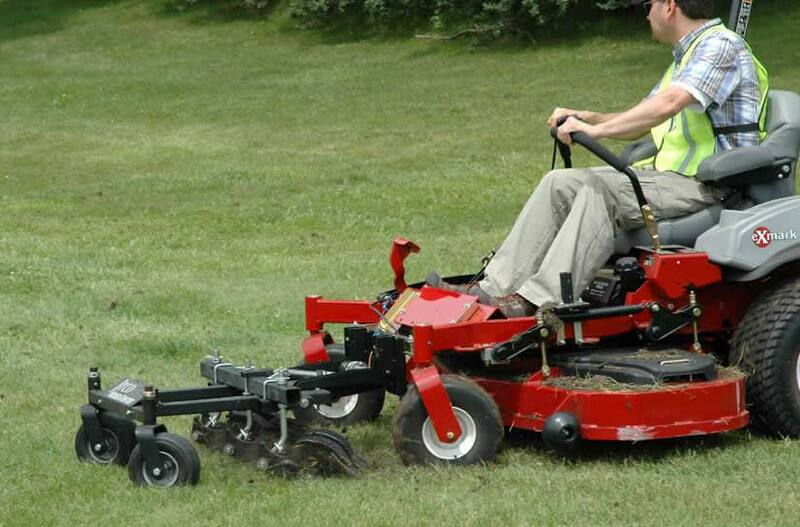 Aerator heads caster allowing zero-turn maneuverability. Electric actuator lifts aeration heads for transport. Switch control for electric lift mounts on operator control arm for easy operation. Hardened steel one-piece rotors assemblies and hardened axles for long life. Aerator frame supported by castering wheels with heavy-duty yokes. 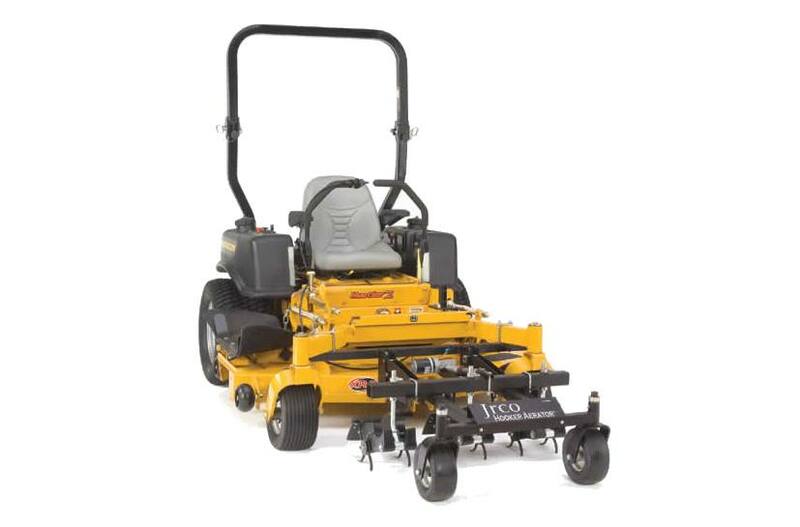 Independent rotor heads lift over rocks or roots while remaining heads continue aerating. Aerator attaches to JRCO mount bar with 2 clevis pins.